Pull back the shimmering “curtains” of aluminum sheets and step into a razzle-dazzle dressing room from Hollywood’s Golden Era. 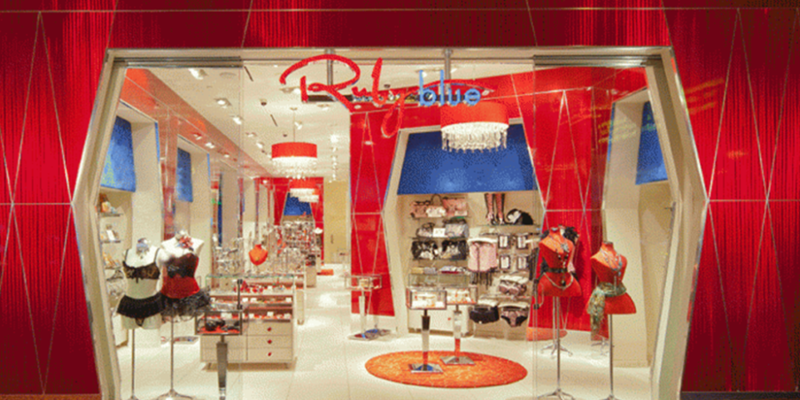 Ruby Blue, the latest concept store from the Marshall Retail Group (MRG), is located at the Mandalay Bay Hotel in Las Vegas, and invites femme fatales of all ages to enter a world of glamour. 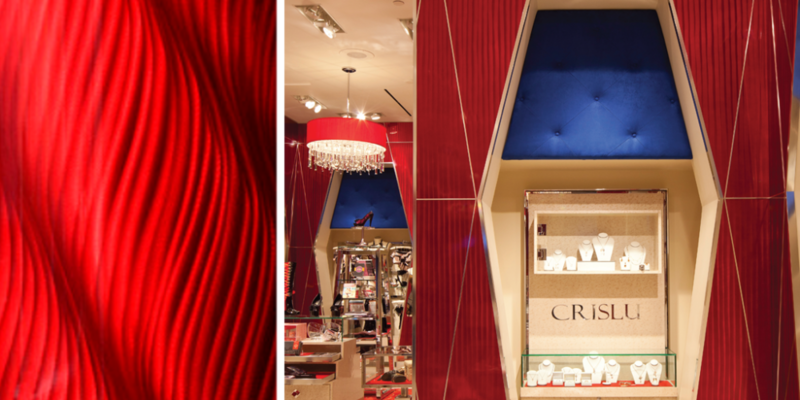 Ruby Blue was a very precise installation – all corners had to come together to present a flawless appearance. 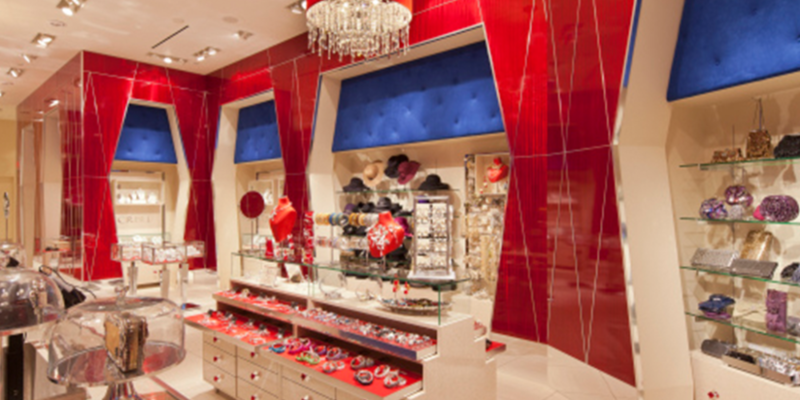 A polycoat gloss finish was added to the laminate for durability and easy maintenance.